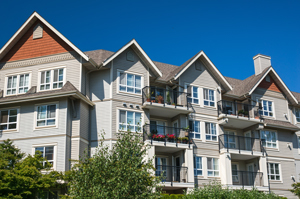 Middle Creek Roofing can perform roof replacements, repairs and other services on apartment buildings and more. When your property needs roofing or gutter services, it's important to get a quality, efficient solution. At Middle Creek Roofing, we provide complete roof repair, roof replacement, and gutter installation for all types of properties, including apartments, condos, and more. Our experts will help you get the right solution for any installation needs you have. We offer a variety of high-quality materials, and we always provide expert craftsmanship. Call us today for an estimate or contact us online to get started with an estimate. We offer all services in Allentown, Reading, Bethlehem, and the nearby areas. Having a dependable company to rely on for repairs and maintenance is essential for any property manager. Middle Creek Roofing has knowledgeable and professional roofers providing quality services throughout Pennsylvania. We have the right solution for all types of roof repair, roof replacement, and gutter installation jobs. Call us today or contact us online to get an estimate in Allentown, Reading, Bethlehem, Lebanon, Newmanstown, Lancaster, Chester Springs, Wayne, Levittown, Haverford, and the nearby areas.